No, We Really Don’t Love You Beary Much: Help Redesign Valentine’s Day! It’s become over-commercialized, over-wrought, and overly-red, and most people are simply…over it. Designers, we beg of you: Accept the Studio 360 design challenge and take back this holiday that’s supposed to be about love! Remind me again what exactly is romantic about a canned poem on a card, a dozen cellophane-wrapped roses, a box of diabetic-inducing chocolates? Does a $300 prix-fixe dinner or an eight-foot red teddy bear really say ‘I love you’? How about the fact that this holiday purposefully leaves out an entire portion of the population, who spend the day ashamed about their singles status on Facebook? challenges–remember X.mas and the gay flag redesign?–and they need your help, designers! What about Valentine’s Day would you change? Submit your Valentine redesigns by uploading your entries to Flickr, and adding them to the Be My Valentine: A Studio 360 Design Challenge pool. I’ll be posting some of my favorites here on Fast Company for the next few weeks. And on Valentine’s Day weekend, Kurt, the husband-and-wife design team at UnderConsideration, and some surprise guests will be reviewing the best submissions on the air. 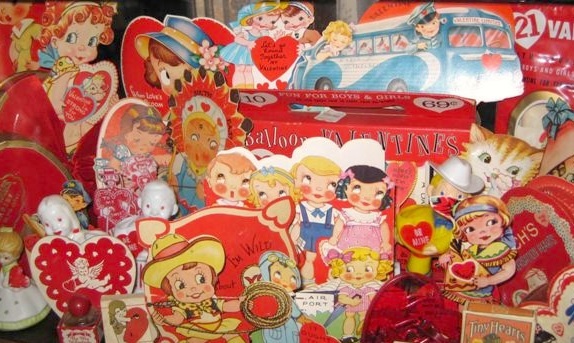 Contrary to popular belief, Hallmark did not “invent” Valentine’s Day, it was actually fashionable to give Valentine’s Day cards as early as the 1700’s. 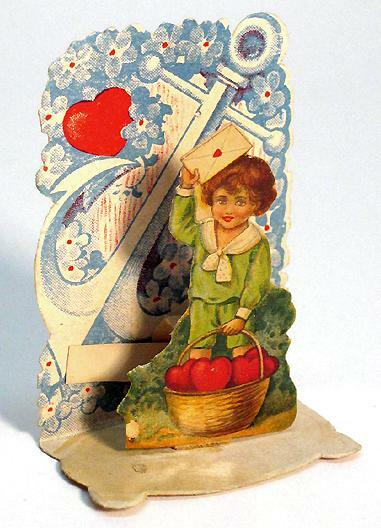 But the woman credited with “branding” Valentine’s Day was Esther Howland, whose ornate cards were sold in the U.S. starting in the 1840’s. 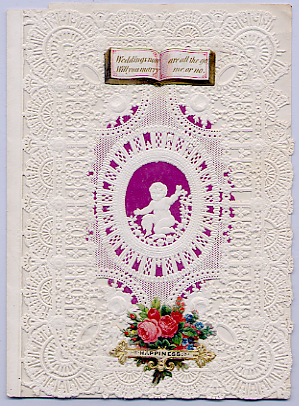 Hallmark sold its first Valentine’s Day card in 1913, and clever pop-ups and cut outs replaced the lace-and-doily creations of the past. Followed by the really bad puns and even worse poetry. Then of course, the candy. Necco made the first batch of Sweethearts conversation hearts in 1902 and began updating the sayings in the 1990’s…FAX ME? And then there were things like this. 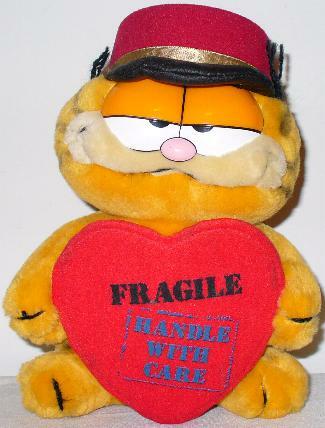 Really, Garfield? Really? 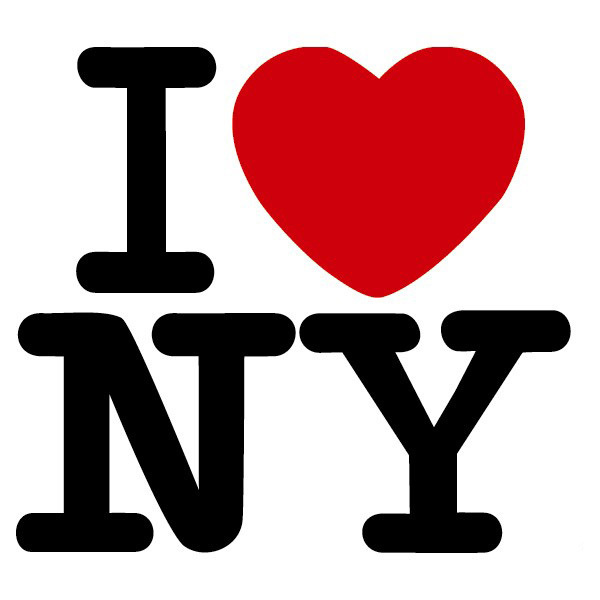 Meanwhile hearts and xoxo’s became so pervasive in our culture that maybe we need a new symbol for Valentine’s Day? So think it over–maybe over a bottle of Champagne with a loved one?–FAX ME your best ideas (no, don’t do that, just post them to the Flickr group), and check back soon to see what kinds of Valentines we received. 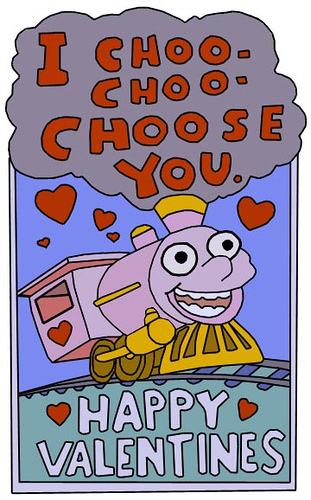 Who knows, we might just choo-choo-choose yours! Love ya!